Distribution agreement with Rakon France SAS signed. We are pleased to announce that Microdis Electronics become an authorized distributor of Rakon, for EE territory. Microdis Electronics has signed a distribution contract with Savoy Technology, adding the products of this manufacturer to our electromechnical component portfolio. Combining the experience of one of the leading technical distributors in Europe and the high quality and performance products of one of the biggest automotive connector manufacturers. Epson P-SPXO interactive configurator available now! We are happy to inform that from October 16th our Logistic Center has been moved to a new location. c/o Microdis Electronics Sp. z o.o. Microdis Electronics Sp. z o.o., which serves also as the Logistic Center for Microdis Group, has been once again awarded the prestigious Business Gazelle Award for 2017, marking the third consecutive year of proven stability, and constant growth of our business and our staff. 2006, 2007, 2015, 2016 and now for 2017. We would like to thank all of our partners and employees who have made it possible. U-blox, the Swiss wireless component manufacturer, in the ending of last year introduced their new GNSS modules: NEO-M8U and EVA-M8E, which are dedicated for independent (without any CAN signals) inertial navigation in vehicles. These modules allow, with sufficient accuracy, to determine the location of the vehicle in areas without any GNSS signal, such as tunnels and underground parking lots. Now we had the opportunity to test the NEO-M8U module in the long Prague tunnels. The M1227HCT-A2-SMA is Maxtena’s latest high performance active rugged antenna with IP67 rating designed for L1/L2 GPS and GLONASS bands for GNSS satellite applications. The antenna is designed for applications requiring greater accuracy than what L1 only antennas can provide. New, compact u-blox module ZOE measures only 4.5x4.5x1.0mm, weight is 0.04 gram. In addition to standard GNSS modules it contains double stage LNA, SAW filter and TCXO. Typical applications for ZOE are: portable devices (personal or asset trackers), UAV (drones), Wearable (smart-watches) etc. SAM-M8Q is the best solution for simple and reliable GNSS (GPS, Glonass, Galileo, QZSS) integration. Customer can design an application, with robust performance regardless of installation, without deep RF expertise, without long tests and plenty of redesigns. Taiwanese LED manufacturer - Brightek - has expanded the offer of non-visible light components to satisfy the growing need for energy efficient and small IR and UV emmitters in the industrial markets. UV wavelengths ranging from 365nm to 430nm, with powers up to 30W. Ublox, a renowned Swiss wireless module manufacturer, has just released the newest connectivity software (v2) for the NINA B1 Bluetooth low energy (BLE) modules. ADR is a European Directive which regulates the international transport of hazardous goods, e.g. fuel or other explosive materials on the road. 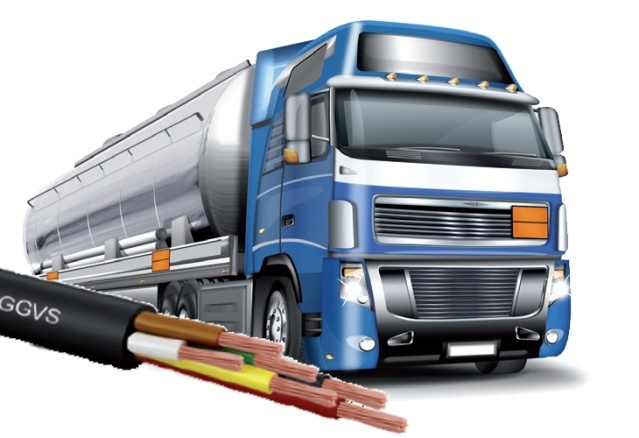 The cables that are mounted in these vehicles have to comply with certain requirements. MediKabels new customized ADR approved FLRYY cables fulfill these special conditions of hazardous material transportation. 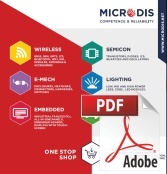 Microdis Electronics has, per 06-12-2016, a combined Authorised Economic Operator (AEO) Customs simplification and Security and Safety certificate. AEO-F status, issued by customs administrations in the EU, certifies that a business has met certain standards in relation to their security, management systems, compliance with customs rules and ongoing solvency. • Seoul Semiconductor has secured the patent portfolio related to WICOP. The M1575HCT-22-P is a omnidirectional high performance passive antenna designed for the GPS L1 band, and built on proprietary Helicore®technology. This technology provides exceptional pattern control, polarization purity and high efficiency in a very compact form factor. The antenna is ground plane independend, and is not affected by the closeness of the human body (no detuning). 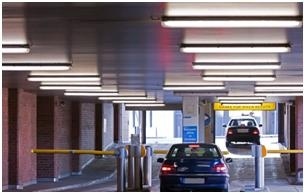 High-voltage LED, with the ability to be driven to a maximum of 1.5W, providing high-lumen output at mid-power prices. SARA-G3xx - the new family of low-power and cost effective GSM/GPRS modules introduced by u-blox is continuation of well known, and market proven modules LEON-Gxxx. Compact 16x26 mm LGA module offers traditional for u-blox, outstanding quality and reliability, excellent electrical parameters (fe. low power consumption 0.6mA, high sensitivity) and useful features like CellLocate (navigation without GPS/GNSS), DTMF, in-band modem support for eCall and ERA Glonass, integration with GPS/GNSS modules including built in Assisted GPS client. SARA-G3xx GSM/GPRS modules are pin compatible to the smallest 3G HSPA (UMTS/GSM) modules SARA-U2xx. SARA form factor supports simple migration to u-blox’ LISA UMTS and CDMA, and TOBY LTE modules via PCB layout compatibility (nested design). The modules are fully qualified according to ISO 16750, and ready to be used in "in vehicle" applications. Microdis expands it's portfolio of antennas and presents a new series, dedicated for maritime applications. For more information please inquire in one of our offices. Закажите свой бесплатный WebEDI доступ! we are glad to inform You that our Logistic Center moves to the new location. Thank You in advance for passing this important information to all departments within Your company. Thank You for cooperation. Microdis Holding, owner of Microdis Electronics Group, signed a partnership agreement with MEDI-Kabel, known supplier of wires and cables in the Central and Eastern European market. Family of GSM/GPRS modules produced by well known swiss manufacturer u-blox has been certified in Ukraine. 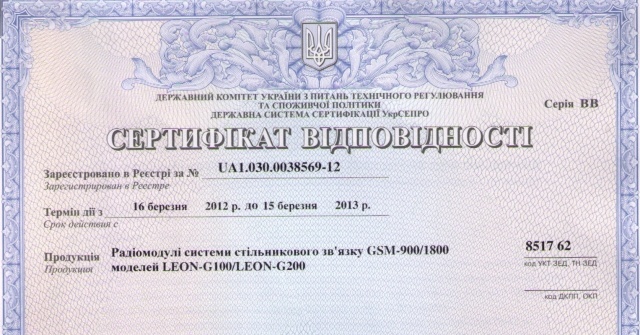 LEON-G100 and LEON-G200 are officially approved to be used in the GSM network in Ukraine. u-blox - swiss expert in positioning technologies - has embedded cellular positioning technology CellLocate into its LEON (2G) and LISA (3G) families of wireless modules. CellLocate can be used together with GPS/Glonass/Galileo receivers - to estimate position when GPS signal is blocked (in the garage, tunnel, inside the building) or jammed (using jammer). Moreover, accuracy is high enough for many applications, where CellLocate can be used alone, saving the cost of GPS/Glonass receiver. NEXCOM has introduced a powerful, cost-effective digital signage player NDiS 125-L. Due to fanless design player boasts an extended product life span and superb reliability. The AMB8567-M enables wireless connection of standard meters (with pulse output) to a wireless M-Bus / OMS radio network. This allows for easy wireless reading of gas, water or electricity meters, even the old style ones. The format of the data transmitted can be freely configured. NEXCOM's NDiS 166 is a powerful new digital signage player which is built around the superb technology of Intel® Core™ i5/i7 processor family with Intel® new HD graphics engine and QM67 chipset. The totally fanless NDiS 166 is capable of offering impressive system performance and can easily support dual full-HD video. NEXCOM's New Cost-Effective ION2 Digital Signage Player - Find Out How NDiS 125 Leaves All Competitors Behind!! When various Digital Signage applications rapidly spread around the world, every participant is looking for a way to maximize return on investment and lower total ownership cost. NEXCOM's NDiS 125 is a cost-effective digital signage player capable of playing Full HD video. We are pleased to announce that new types of SIM and 2in1 SIM & uSD memory card holders from Global Connector Technology have become available. New offer contains push-push, low profile and dual connectors. AAEON announces a low power consumption Embedded Controller - AEC-6821. The AEC-6821, which adopts the AMD Geode LX 800 processor, is an advanced version of AEC-6820 and targets the transportation and infrastructure market. It reduces time and resources of system integration and ensures quality and stability for any project. Seoul Semiconductor, a world-leading LED manufacturer, has launched the new Acriche family (100-230V AC powered LEDs) member - A4. Advanced technology used in Acriche A4 is able to combine two key factors : CRI (Color Rendering Index) and brightness. The A4 devices have a color temperature of 3000K and include multiple new technologies providing excellent efficiency of 75 lumens per watt (lm/W) with a High CRI of 85. Due to their similarity to natural light High CRI sources are excellent for high quality light applications replacing warm white incandescent and CFL light sources. 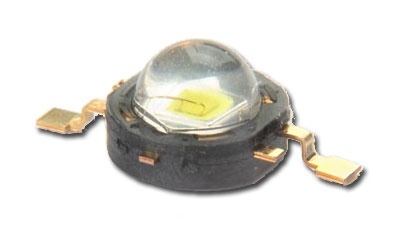 Seoul Semiconductor launched new, high-efficient (120lm/W), SMD type LED. The new LCW100Z1 LED comes in three ranges of correlated color temperatures (CCT); including pure white, warm white and natural white. 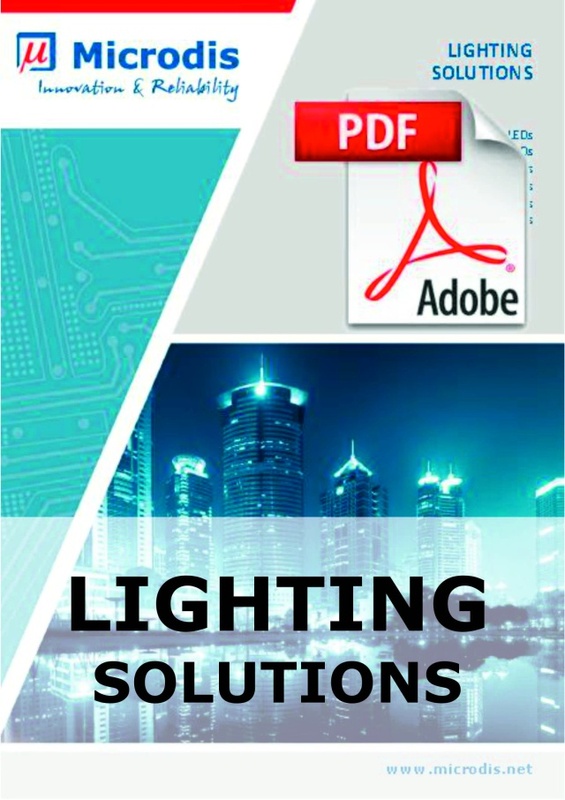 Compact design (just 3.5 x 2.8 x 1.6mm), high brightness and efficiency (increasing the lifetime of the battery) makes it ideal choice for such applications like: array lighting, decoration lighting, information boards, and any lighting for small size devices. X|Synergy is the complete RJ45 connection system to be used in harsh environment. 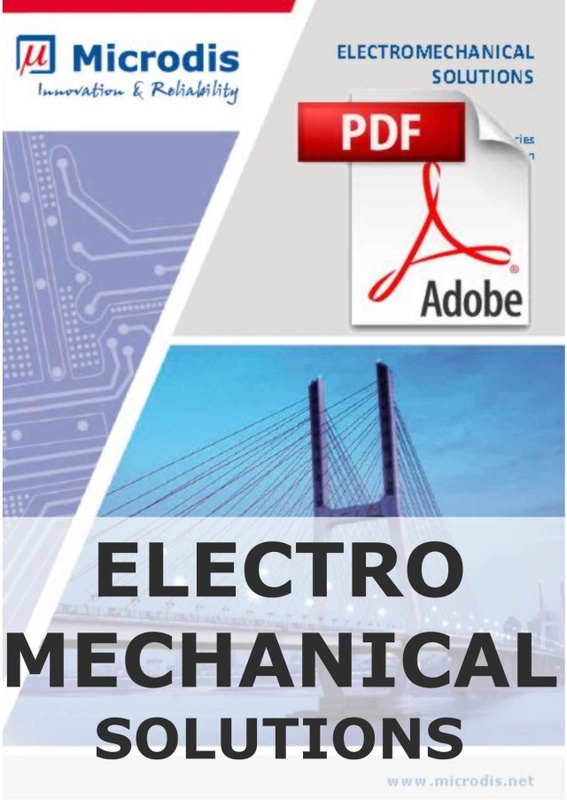 Microdis Electronics has set up the company and opened the office in Latvia. Czech Rep., Germany, Hungary, Lithuania, Latvia, Poland, Russia, Serbia, Slovakia, Ukraine. Germany, Poland, Czech Rep, Russia, Lithuania, Slovakia, Serbia.